Shorten URL - Shorten a long URL using zpr.io. 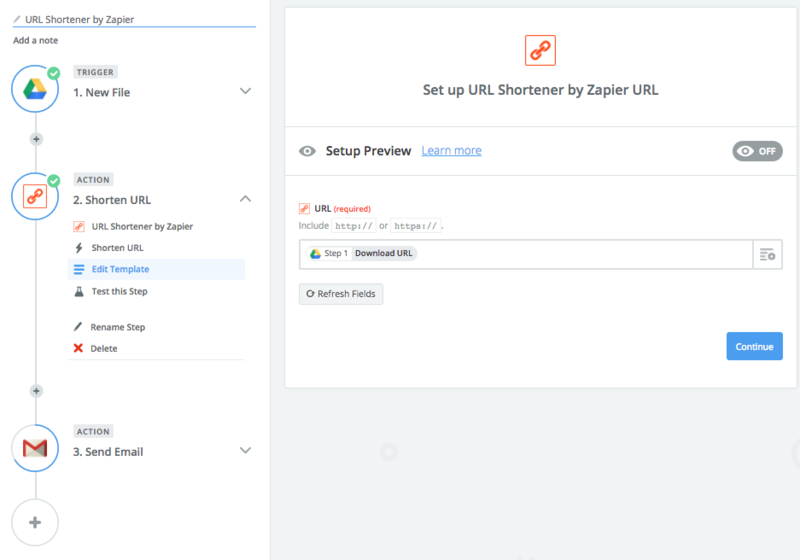 To get started with URL Shortener, first add a trigger to your Zap that supplies a URL. Then add the "Shorten URL" action and insert the key which contains the URL you'd like to shorten in the URL field. 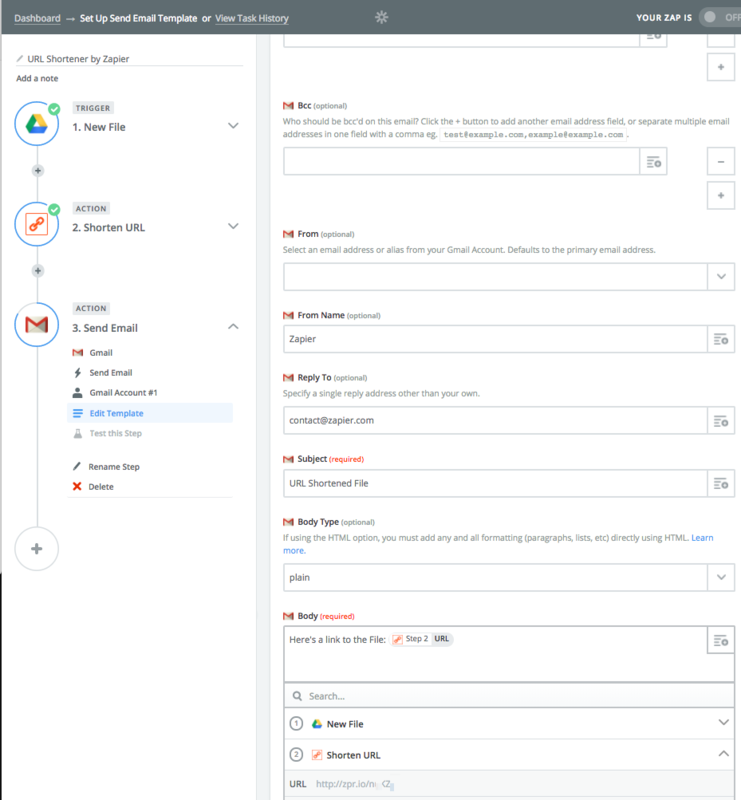 Then, use the output of the URL Shortener on your next step.